A few months ago, Acorns announced that they would soon be adding a third service to their product offering, in addition to the original Acorns and Acorns Later accounts. 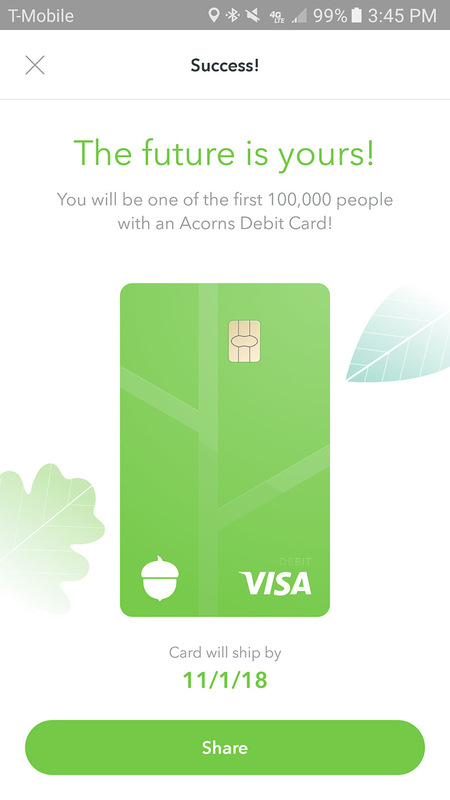 Today, we finally know what that service is going to be: Acorns Spend, an Acorns-branded checking/debit card. Are you confused? You shouldn’t be. Acorns has a company mission of making saving and investing as easy as possible for their customers, who are typically financial novices. It was only a matter of time before they found a way to help their users right at the point of purchase. Read on to learn more about how the Acorns Spend debit card can help you save and invest more money to reach your financial goals. 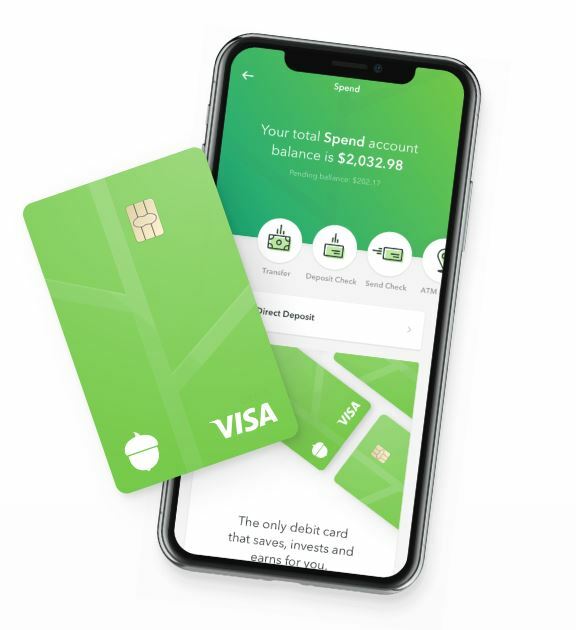 Acorns Spend is a newly-created checking account and debit card that Acorns is offering to its customers. As a physical debit card, customers can use it just as they would use any other debit card to make purchases. 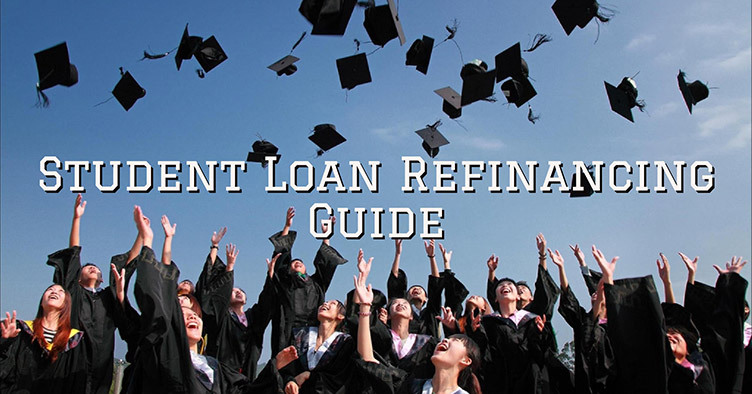 Where the card stands out from others, though, is in how it is designed to encourage saving and investing. By incorporating other key features from the Acorns investment app, Acorns Spend (in theory) makes it easier than ever to make investing an automated, thoughtless process—which is a good thing. The less a person needs to think about saving or investing, the more likely they are to keep doing it over the long run. Acorns Spend accounts are managed by Lincoln Savings Bank, FDIC, meaning that each account is FDIC-insured up to a maximum of $250,000, just like other saving and checking accounts. The first time you pick up your card, you’re bound to be struck by how heavy they are. This is because they’re made of Tungsten, a metal, which lends a significant amount of heft to the card. I expect this was done to make the card feel more substantial and premium, like other premium cards. Either way, I definitely find myself pausing each time I take the card out of my wallet and feel it’s heft. Has this made me a smarter shopper? Tough to say. But it’s definitely made me more aware. Plus, the cards are just plain pretty. This shouldn’t really be a selling point, but I guess it’s a perk. How does Acorns Spend work? 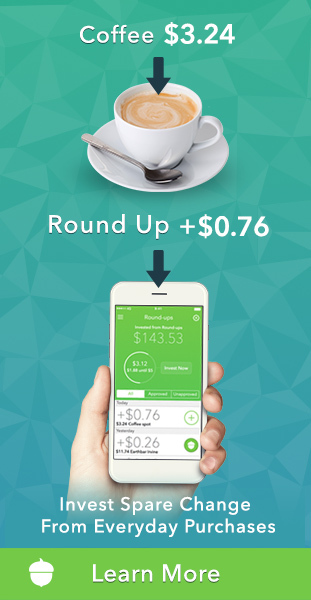 Where Acorns Spend is different is in the real-time aspect of the round-ups. While the traditional Acorns user must wait until their round-up “balance” reaches $5 before the funds are transferred and invested, users of the card will have their round-up funds transferred immediately into their accounts following a purchase. 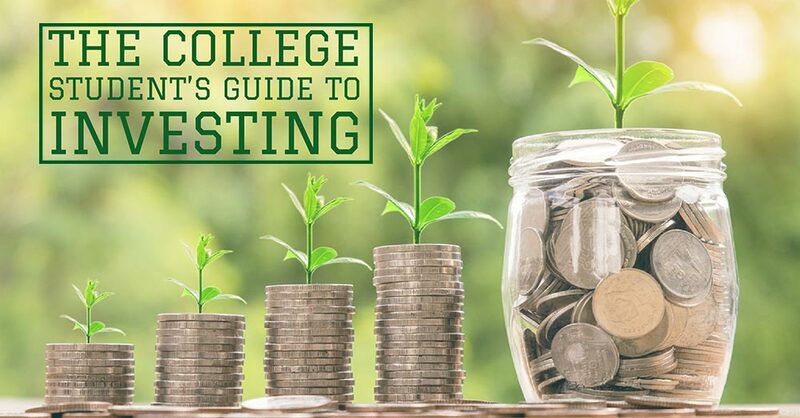 Though this seems like a small improvement, over the course of a few years or decades, this can have a tremendous impact on investment growth: The longer your money is in the market, the longer it can grow. But beyond this, Acorns Spend comes with a number of other perks designed to help customers save and invest even more money, putting it in competition with the big banks. If you’re thinking about signing up for Acorns Spend, you should consider doing so sooner rather than later. Only 100,000 cards were set to be produced in the first run, and more than 25,000 customers signed up on the first day. The rest of the 100,000 first run cards were swept up in the weeks after the program was announced. But Acorns Spend is accepting new applicants on a rolling basis, so you can still sign up. I personally signed up as soon as I heard, claiming my spot. Luckily, signing up is easy. 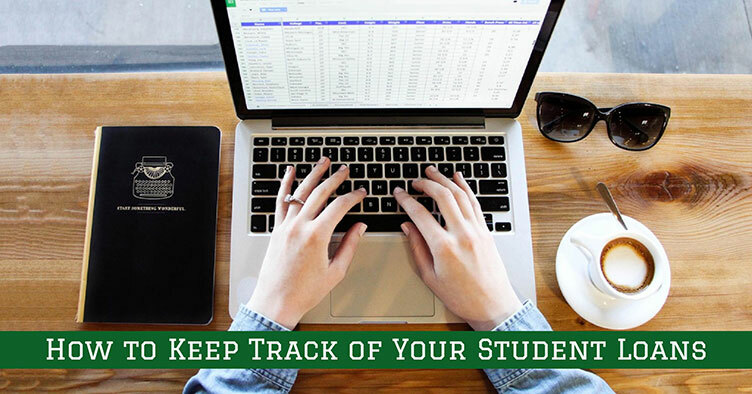 All you need to do is log into either the Acorns app or online account, click on the Acorns Spend tab, and you can opt in. If you’re in the app, you’ll use your finger to submit your signature for record, which will be placed on the back of the card (just like a traditional debit or credit card). The one downside? It can take some time to actually receive your card. Being made of Tungsten, then take more time to manufacture and produce. Though I signed up for my card the day the program opened in June, I didn’t actually receive my card until November (which was when they told me I would). Hopefully, this process gets a little bit faster as the program ages and their supply chain irons itself out. 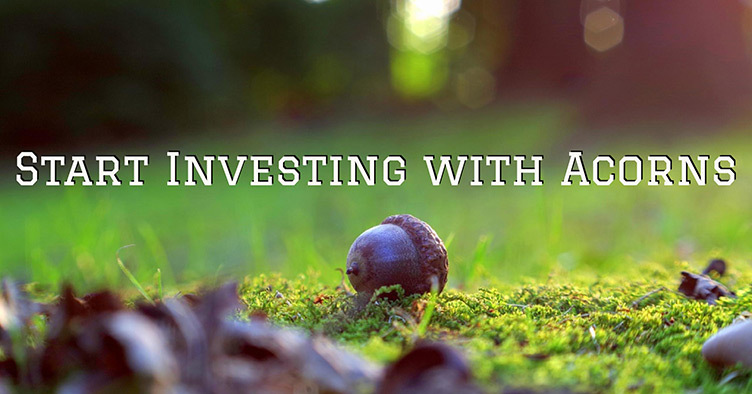 Acorns Spend Fees: How Much Does Acorns Spend Cost? If you want to sign up for Acorns Spend, then you’ll need to already be an Acorns and Acorns Later customer. 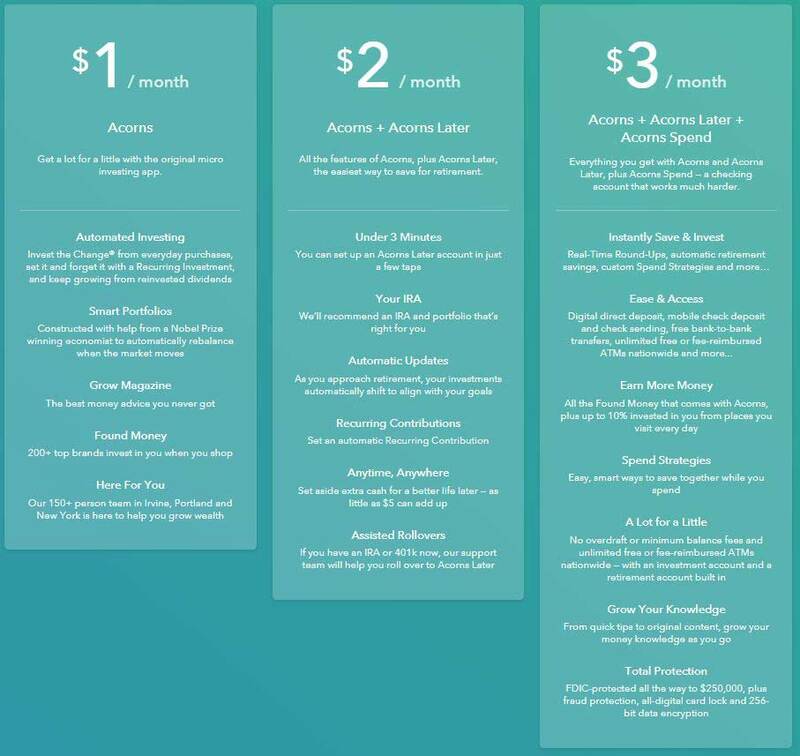 In total, for access to all three products, you’ll be paying $3 per month. That boils down to $1 per month for your Acorns account (for accounts up to $1 million), $1 for your Acorns Later retirement account, and $1 for your Acorns Spend debit card. And though the specifics remain to be seen, it does look like you’re going to get a lot for that one extra dollar a month. You won’t actually begin being charged that extra $1/month until you have your Acorns Spend card in hand, so there’s no need to worry about signing up too early. In addition to enabling real-time roundups with each purchase, Acorns Spend comes with some additional perks and benefits. Below is a look at what some of these additional benefits include. Okay, so this isn’t actually the name of the program, but that’s essentially what it is. 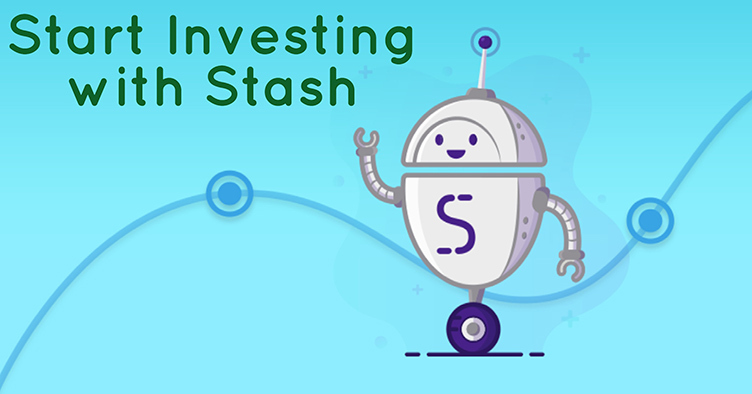 Found Money is Acorns’ unique program where, whenever an app user makes a purchase with a partner company through their Found Money portal, a portion of that purchase amount is deposited into their investment portfolio. With Acorns Spend, that will continue, but isn’t limited to only Found Money partner companies. Instead, shoppers have the potential to earn up to 10% of a purchase, deposited right into their investment account, from local shops. Though the specifics of this aren’t yet ironed out, it sounds and feels a lot like cash-back rewards programs offered by credit card companies, which sounds promising. I personally love the premise behind Found Money, but because I don’t actually shop through any of the partner companies, I miss out on a lot of that return investment. I just prefer to shop local whenever possible, which means avoiding some of the bigger chains like Walmart. Hopefully using Acorns Spend will help me (and those like me) recapture some of that! As I learn more about the details of this cash-back feature, I’ll update this section. I expect that these “Spend Strategies” are going to be hyper-actionable tips that consumers can use to trim their expenses. 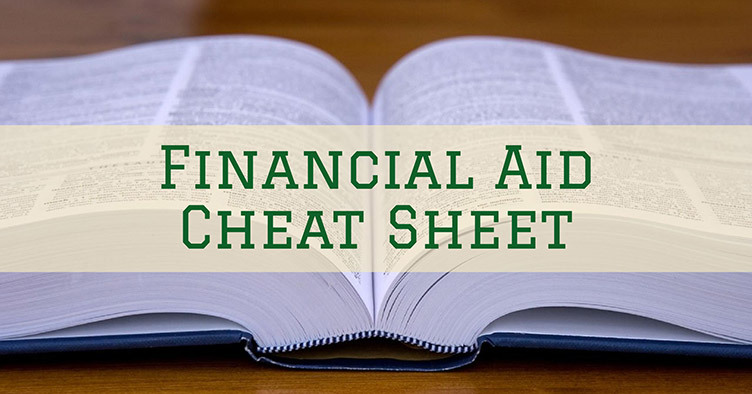 These could be direct tips about negotiating prices and making swaps for less expensive items, or they could be little nudges when the card notices, for example, that you’ve been spending more money than normal. I’m personally really excited to see what this feature evolves into. Anything that helps people think about how they’re spending their money is a good thing in my book! It isn’t free: Though Acorns Spend is completely fee-free, you’ll need to pay $1 a month to access the program. 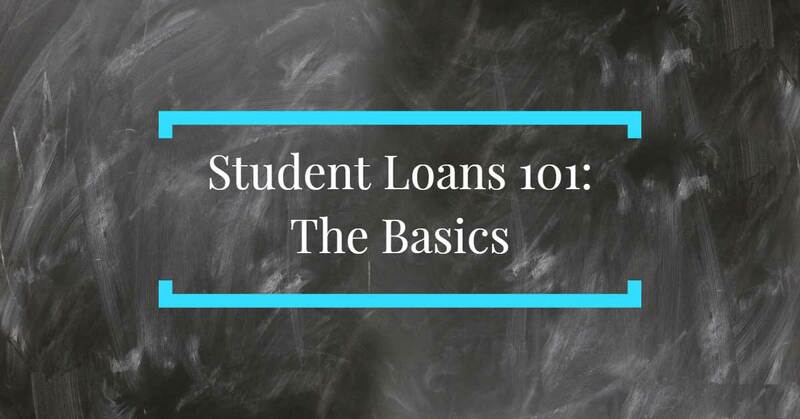 $12 a year isn’t going to break the bank, but it’s still important to keep in mind, especially knowing that there are some other completely free banking services out there. You need to be an Acorns and Acorns Later customer to get it: For those of us who are already users of Acorns and Acorns Later, this isn’t a big deal. But many people have access to a 401k through their employer, or else already fund an IRA and don’t want to make the switch to Acorns Later. Unfortunately, at least right now, those users won’t be able to sign up for Acorns Spend. It takes a while to get your card: The cards take some time to produce, partly because they are made of metal (which takes more work to produce compared to traditional plastic cards) and partly because Acorns’ supply chain is not yet fully built out. You’ll get your card, but it’ll likely take a few months before you do. The most promising features have been slow to roll out: Though I have had my card since November, the most promising features (Found Money+, ATM Finder, Spending Insights) have not yet rolled out. It makes sense that Acorns will need some time to perfect these features, but it would be nice if they would begin rolling out. After all, those features are a big part of why people are signing up. Though there’s a fair amount about Acorns Spend that isn’t yet fully clear, I’m personally really excited about the program. 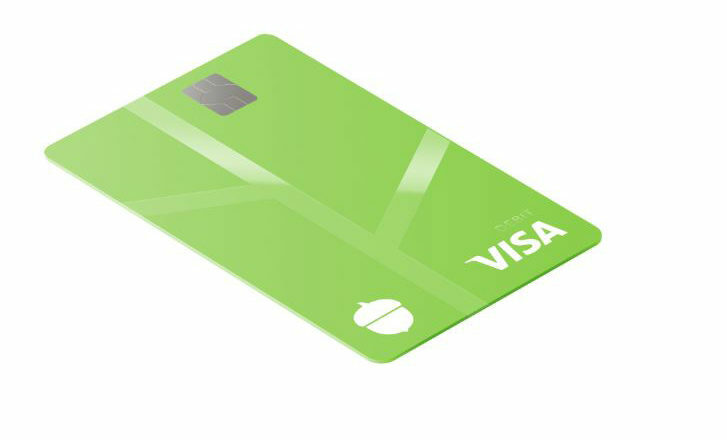 I’m actively using the card and enjoying it, though I’m still waiting for certain features to roll out (Found Money+ and the ATM Finder among them). 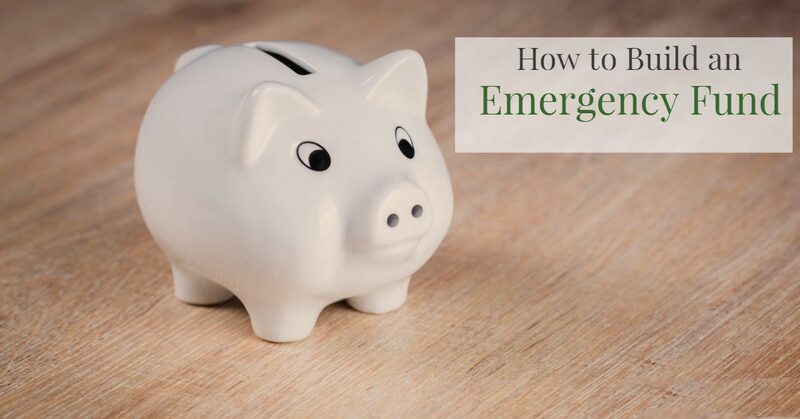 Even if it doesn’t directly impact my investing strategy, the fact that it comes with no overdraft or minimum fees and free ATM withdrawals is enough to have me excited compared to my current bank. I’ll be updating this article as more information comes out, but let me know what you think/if you have any initial thoughts or concerns about Acorns Spend and if you plan on signing up! 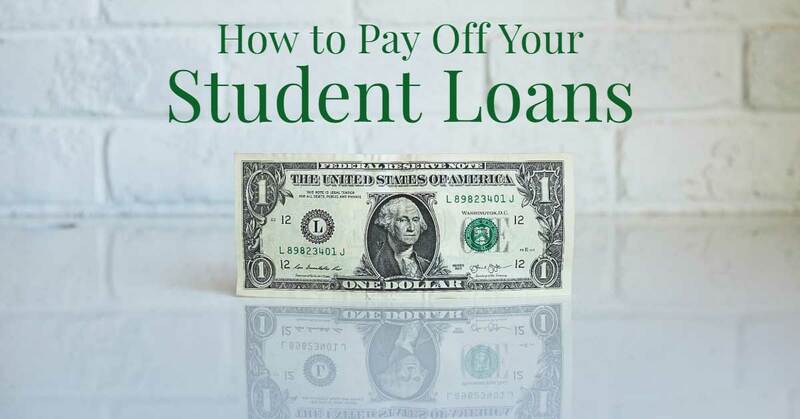 Why Do Private Student Loans Have Higher Interest Rates Than Federal Student Loans?